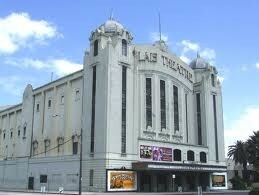 The Palais Theatre is currently the largest theatre in Australia seating 2896 patrons. The building is considered one of the finest examples of Art deco architecture in Australia and is on the Victorian Heritage Register. Under new management, the theatre is again in frequent use for local and international live performances and has undergone some much needed repairs. Since July 2007 Palais Theatre Managment has brought almost 150 events to the Palais Theatre. Live music, International legends, the best Australian bands, comedy events, television broadcasts, community events, music video clips location, student films, television segments, artist interviews, supported charity fundraising events and after an absence of many years again brought The St Kilda Film Festival and a full scale ballet back into the theatre. Palais Theatre Management has been thrilled to bring the best International and Australian events back to this iconic St Kilda and Victorian heritage theatre and is now looking to the future. We look forward to all Victorians and visitors from Australia and around the world joining us on our journey.